Advertising at train stations is consist of Hoardings, Back-lit panels, Platform Flex boards, Pole kiosks, Foot Over Bridge board, and station circulating areas and on digital screens of ticket counters. There are also different types of advertising at train stations campaigns such as glow sign boards at railway station, exterior panels, window top transfer stickers, etc. 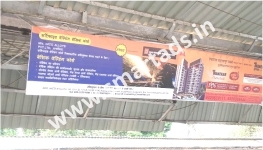 We also have advertising space on railway platform boards and Foot over bridge (FOB’s) of all the local train stations. Railway panels, Advertising at train stations and Full train advertising media helps advertisers in reaching the target audience and creating the right impact. Approximately 2.1 million passengers travel per day – combined from western, central and harbour. Railway advertising is consisting of complete train wraps/painting, Internal-Window Top panel, Window panels, In-train Audio Jingles, Door top panel, Luggage Top Panel or Route map panel. Advertising at train stations is just a click away! We offer a broad spectrum of advertising at train stations services to attract the target audience in a particular location of Indian Railways. Advertising on trains is consist of Hoardings, Back-lit panels, Platform Flex boards, Pole kiosks, Foot Over Bridge board, and station circulating areas and on digital screens of ticket counters. There are also different types of Advertising on trains campaigns such as glow sign boards at railway station, exterior panels, window top transfer stickers, etc. We also have advertising space on railway platform boards and Foot over bridge (FOB’s) of all the local train stations. Railway panels, Advertising on trains and Full train advertising media helps advertisers in reaching the target audience and creating the right impact. Approximately 2.1 million passengers travel per day – combined from western, central and harbour. Railway advertising is consisting of complete train wraps/painting, Internal-Window Top panel, Window panels, In-train Audio Jingles, Door top panel, Luggage Top Panel or Route map panel. Advertising on trains is just a click away! We offer a broad spectrum of Advertising on train’s services to attract the target audience in a particular location of Indian Railways. Metro advertising in India is the easiest, fastest and most effective way to reach out to lakhs of consumers. 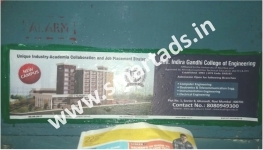 Metro advertising in India is also known as metro rail advertising or rail advertising. Metro advertising in India is a perfect way to attract the attention of commuters who travel by trains on daily basis across city. We have do Metro advertising in India in PAN India to get the highest visibility to your brand. Metro advertising in India helps to focused exposure at a single point. Metro advertising in India creates excellent visibility to your brand. Metro advertising in India helps to reach wider ability to a large spectrum of audience. Metro advertising in India covers long and wide distance. Why you should select Metro advertising in India over other advertising options? Metro advertising in India campaigns specialize in attracting consumers on the move, especially the otherwise hard-to-reach commuters and members of targeted communities. Metro advertising in India helps to reach masses. Mumbai local trains are the lifeline of the city and it carry approximately 2 million passengers on the Western, Central and Harbour line in a day. Due to this advertising on local train is highly in demand. Metro advertising in India provides a highly personalized local touch to local audiences. Highly visible these attractive displays at railway stations throughout the length and breadth of Mumbai city across the Central, Western and Harbour rail lines are designed brilliantly to grab the attention of lakhs of travelers. Regular commuters just cannot avoid seeing these advertisings displayed at strategic locations at the railway or train stations. Metro advertising in India offers a wide variety of campaigns suiting your needs and to serve your purpose. 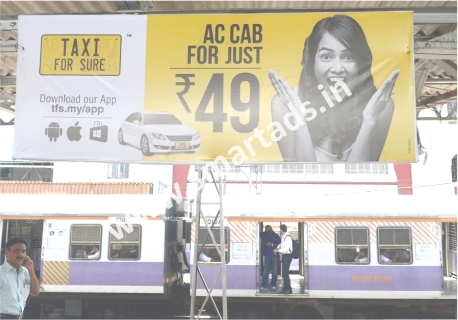 Smart Ads is the first choice for all Metro advertising in India campaigns. We provide all types of Metro advertising in India solutions to our clients with PAN India visibility. Railway advertising in India is the easiest, fastest and most effective way to reach out to lakhs of consumers. Railway advertising in India is also known as metro rail advertising or rail advertising. Railway advertising in India is a perfect way to attract the attention of commuters who travel by trains on daily basis across city. We have do Railway advertising in India in PAN India to get the highest visibility to your brand. Railway advertising in india helps to focused exposure at a single point. Railway advertising in India creates excellent visibility to your brand. Railway advertising in India helps to reach wider ability to a large spectrum of audience. Railway advertising in India covers long and wide distance. Why you should select Railway advertising in India over other advertising options? Railway advertising in India is cost effective medium to reach maximum audiences, where train advertising campaigns specialize in attracting consumers on the move, especially the otherwise hard-to-reach commuters and members of targeted communities. Railway advertising in India helps to reach masses. Mumbai local trains are the lifeline of the city and it carry approximately 2 million passengers on the Western, Central and Harbour line in a day. Due to this advertising on local train is highly in demand. Railway advertising in India provides a highly personalized local touch to local audiences. Highly visible these attractive displays at railway stations throughout the length and breadth of Mumbai city across the Central, Western and Harbour rail lines are designed brilliantly to grab the attention of lakhs of travelers. Regular commuters just cannot avoid seeing these advertisings displayed at strategic locations at the railway or train stations. Railway advertising in India offers a wide variety of campaigns suiting your needs and to serve your purpose. 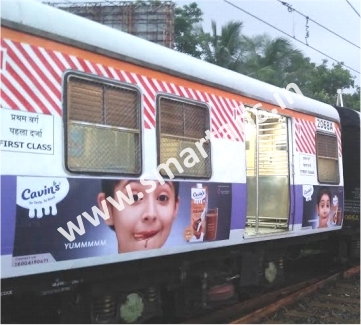 Smart Ads is the first choice for all Railway advertising in India campaigns. We provide all types of Railway advertising in India solutions to our clients with PAN India visibility. Advertising at Train Stations in Mumbai. Advertising at Train Stations in Delhi. Advertising at Train Stations in Kolkata. Advertising at Train Stations in Bangalore. Advertising at Train Stations in Ahemdabad. Advertising at Train Stations in Surat. Advertising at Train Stations in Pune. advertising on trains in Mumbai. advertising on trains in Delhi. advertising on trains in Kolkata. advertising on trains in Bangalore. advertising on trains in Ahemdabad. advertising on trains in Surat. advertising on trains in Pune. Metro Advertising in India in Mumbai. Metro Advertising in India in Delhi. Metro Advertising in India in Kolkata. Metro Advertising in India in Bangalore. Metro Advertising in India in Ahemdabad. Metro Advertising in India in Surat. Metro Advertising in India in Pune.